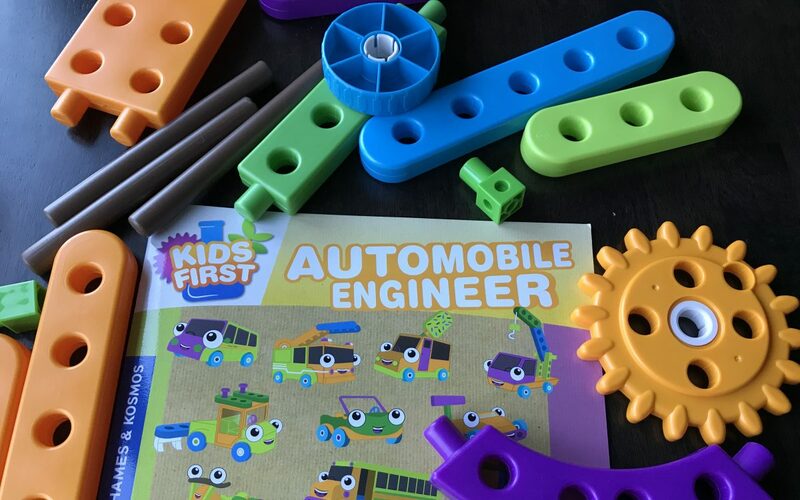 Kids First Thames & Kosmos Automobile Engineer is a science kit that provides a fun and engaging way to teach simple engineering concepts to preschool-age kids. This is a great way to lay the groundwork for strong STEM related skills. This science kit includes: a 32-page illustrated storybook manual, 70 pieces & 10 models. 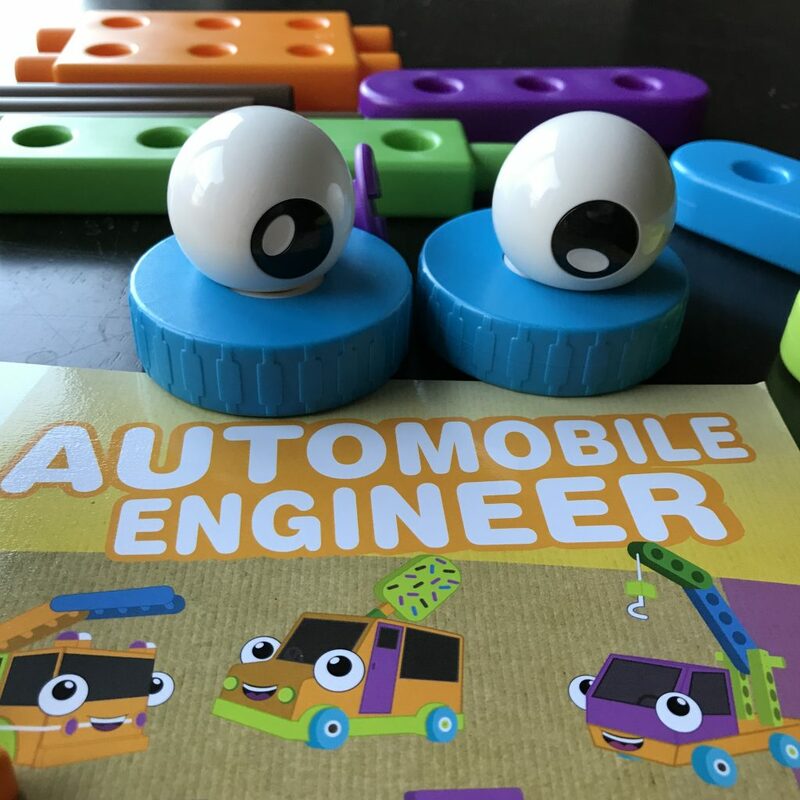 The included storybook provides an engaging way to teach simple engineering concepts to preschool-age kids. This kit helps develop fine motor skills, science and math skills, visual-spatial skills, and reasoning and concept development skills. 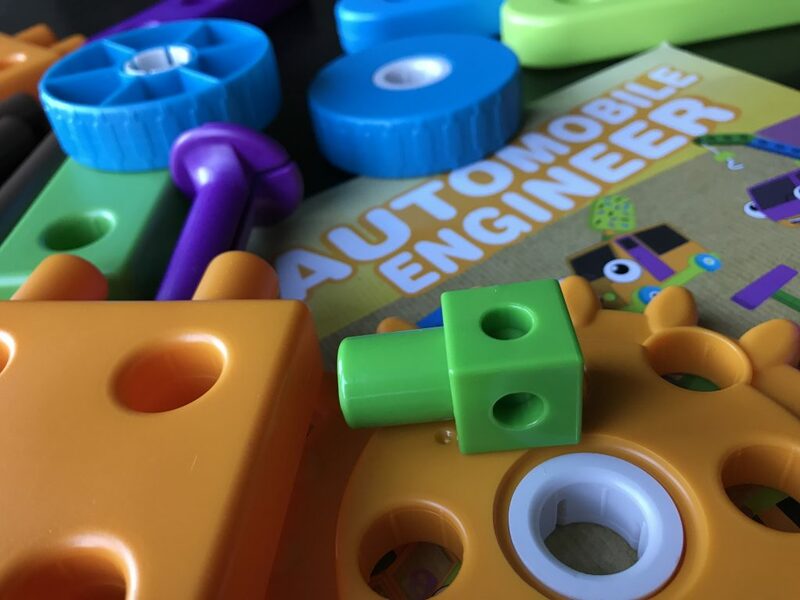 This fun and informative physics and engineering kit allows preschool-age kids to get a head start on learning important STEM related skills. The product includes large and colorful plastic building pieces. You can construct 10 vehicles which are featured in the storybook. The storybook provides an engaging way to teach engineering concepts and simple physics.